Sommeliers are wine experts who make wine recommendations in gourmet restaurants. Some sommeliers have expanded their repertoire to include beer, whiskey, coffee and cheese. African Union intervenes the current crisis in Sudan after talks broke down between protesters and the military on a transitional government+++Ugandan lawmaker and musician Bobi Wine calls for a peaceful protest after police banned him from staging musical concerts+++Meet genocide hero Damas Gisimba who saved over 400 Tutsis who were being hunted down in the first days. Bobi Wine accused authorities of breaking into his car and cracking down on his supporters. The popular singer and politician has been in the crosshairs of authorities for his activism against President Yoweri Museveni. Ukrainian presidential hopeful Volodymyr Zelenskiy isn't the first politician with an unconventional background. Across the world, actors, musicians, athletes and business tycoons have gone on to lead their countries. Asia is one of the world’s largest markets for wine. Hong Kong currently holds the record for a single retail transaction for wine. Last year, one buyer paid 1.5 million dollars for seven bottles of Domaine de la Romanée Conti at a Sotheby's auction. Now the auction house hopes that record will be broken this year. The Prespa agreement has put an end to the decades-old name dispute between Greece and North Macedonia, but it hasn't settled every related question. For example: Who has the right to sell "Macedonian wine" now? Coca-Cola and a good wine harvest are no doubt two completely different things. But in Germany, they merge when it comes to explaining an unparalleled shortage of glass for wine bottles. DW's Natalia Smolentceva reports. Vineyards on the slopes of the Moselle and Rhine, monumental structures from the Roman Empire in Germany's oldest city Trier: the state of Rhineland-Palatinate is ideal for culture buffs and epicures. Donald Trump's ancestors came from a tiny German wine village. We asked locals what they think of the US presidential candidate - and found out that the "Drumpfs" are long gone. In the French port city of Calais, businesspeople are increasingly worried about how a hard Brexit could hit their bottom line. Preparations are already being made to cope. In 2018, fine wine proved to be one of the best investments there was. But how long can the exclusive Burgundy and Bordeaux bubble last when traditional markets tumble in tough times? 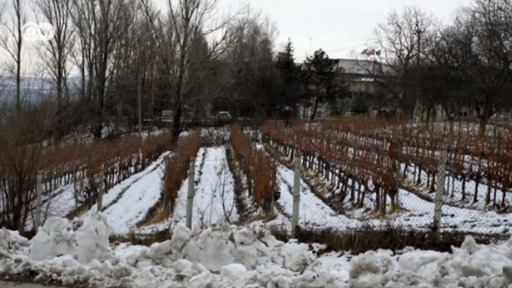 Moldova has a long and rich winemaking tradition, but few wine drinkers around the world know of its products. Now the country is making a push to boost awareness of that outside the region.